The majestic city of Budapest has an imperial past; more and more of the 19th century grandeur of the Hapsburg Empire is being revealed as the city is restored. 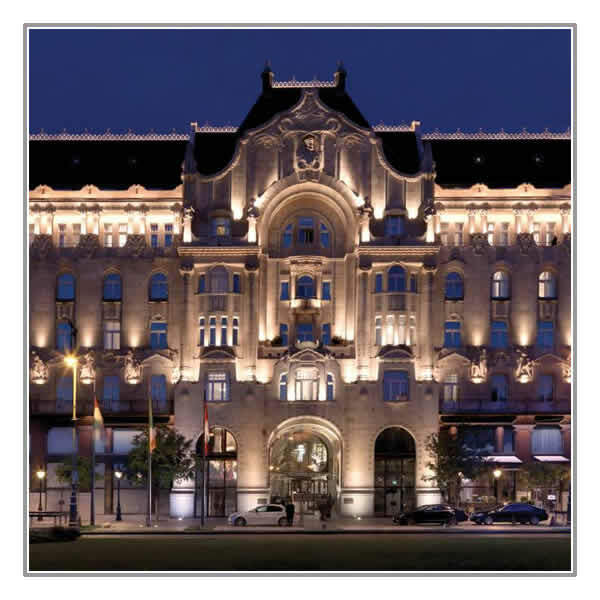 The renaissance of an Art Nouveau landmark, exquisitely transformed with ultra-modern comforts, Four Seasons combines luxury and intuitive service with panoramic vistas of the Danube and the hills of Buda. Located facing the Danube in the heart of the city with wonderful art-nouveau public areas, superb bedrooms and a choice of restaurants. There is also a stunning rooftop health club and pool. 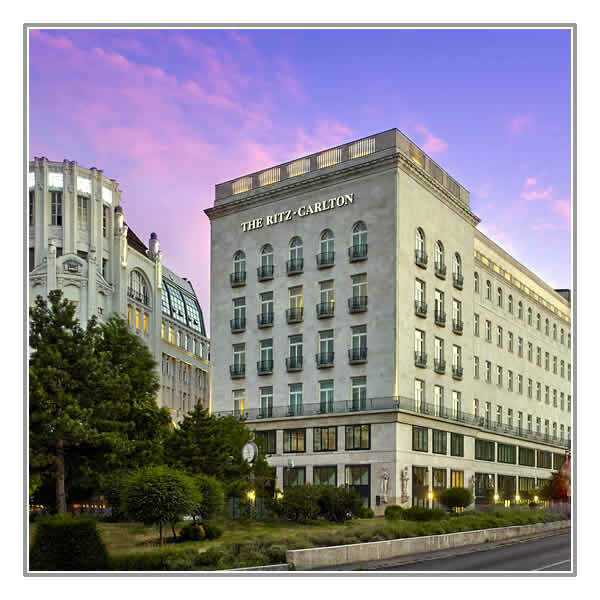 Overlooking the park at Erzsébet Square, this luxurious hotel is just one minute's walk from the nearest metro station and an eight-minute walk from the banks of the Danube River. Elegant rooms and suites feature free Wi-Fi, flat-screens, Nespresso machines and marble bathrooms, with many offering city or park views. Suites also have living rooms with sofabeds and some have balconies and/or dining areas. Club rooms and suites give access to a lounge. The hotel features a chic lobby bar, restaurant with a terrace, gym, an indoor pool and saunas. Breakfast is served in a dining room with a domed stained-glass ceiling.